Most store designers and visual merchandisers agree that gondola store shelving offers some of the most versatile and flexible store fixtures available. DGS Retail has been a manufacturer and supplier of retail shelving systems since 1979. We offer some of the best designs in retail and store shelving that can be used to create a small department within a store or can be used for a complete retail interior design layout idea. We sell a variety of different gondola shelving styles that can be used in a variety of different retail establishments. 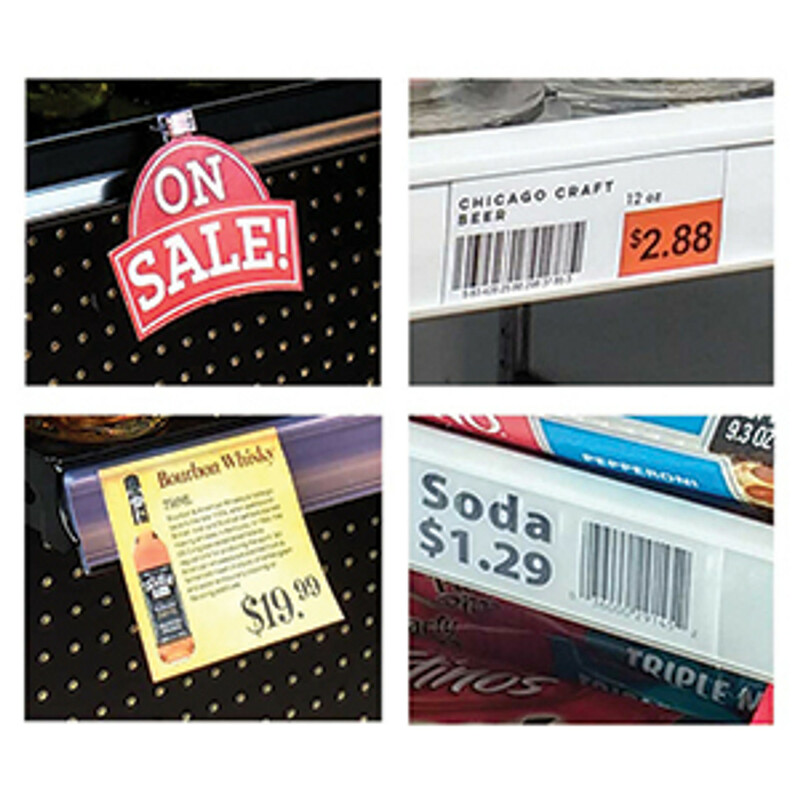 These include supermarkets, grocery stores, liquor stores, gift shops, bakeries and more. What is a Gondola in a Retail Store? Gondola shelving is generally used in retail environments to display and support products and merchandise. Gondola shelving is often referred to as store shelving or retail shelving. It can be used to create long store aisles like what you’d see in a supermarket or as a small free standing point of purchase display. Gondola shelving is extremely flexible and can be used in a multitude of ways. It usually is composed of a base shelf that’s about 6” high off the floor. There is generally a vertical back panel that’s attached to the base shelf. The vertical portion has slots or notches in it that floating shelves or peghooks or other merchandising accessories can be attached to. The shelves are usually only supported on the back edge. This leaves the front of the store fixture open so that most of all that you see is the product displayed and not so much the shelving. 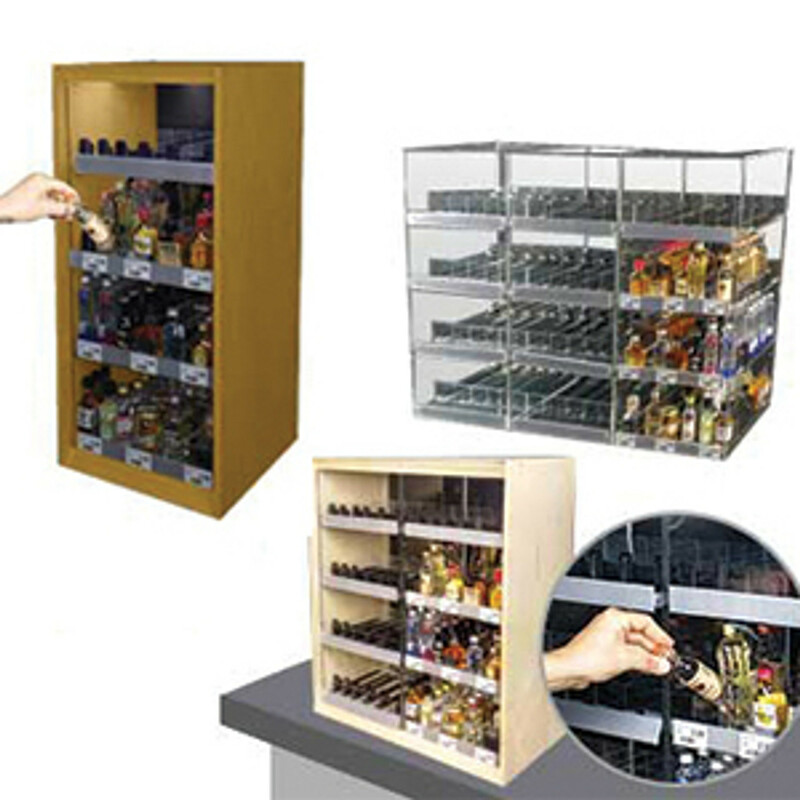 The gondola shelving is supplied single sided or double sided. Single sided gondola consists of a base shelf and a vertical panel in an L-shaped configuration. 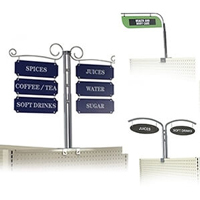 These are designed to be used as retail wall displays as they are generally located next to a wall. The double sided units are similar but they have a base on both sides. So they resemble an upside down T shape when viewed from the side. 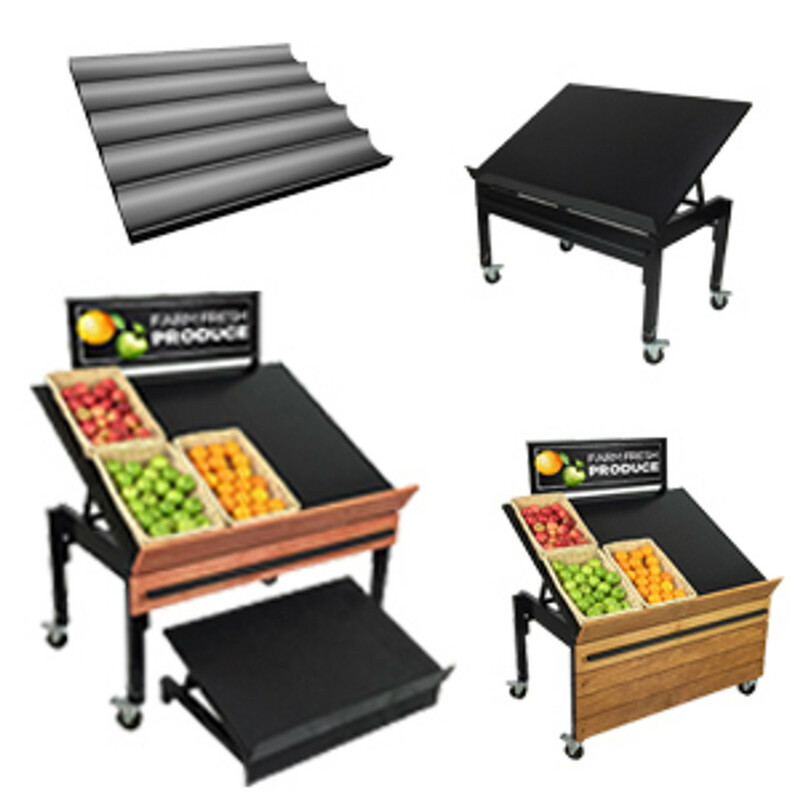 These are used to create store aisles or H displays. Different depth shelves and merchandising accessories are inserted into the slatwall, notches or slots on the vertical panels. DGS Retail has a team of in-house store interior designers, retail architects and engineers that specialize in design for retail. 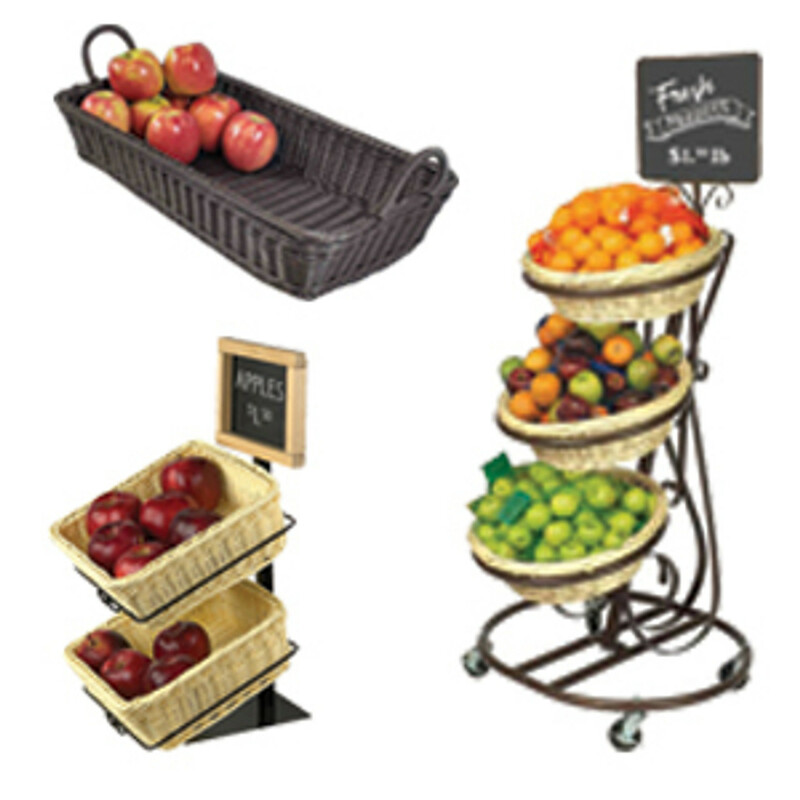 We work on the best ways to display everything from apparel, food, liquor, home goods and more. Every store is different and so is the products that are displayed on our retail racking systems. We’ve developed our gondola shelves to display a wide assortment of products in many different stores. 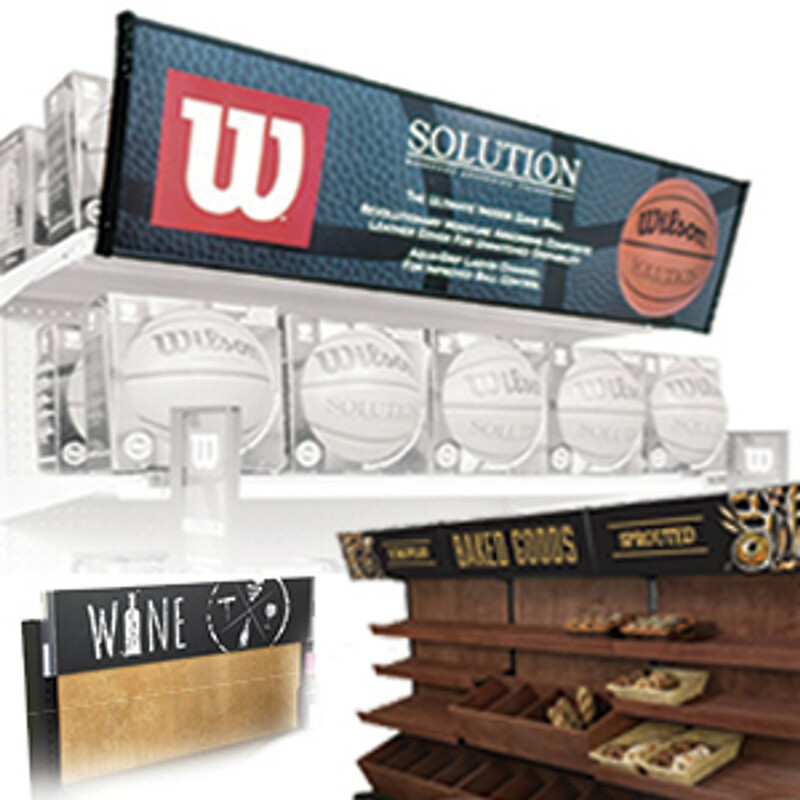 Our retail solutions are designed to help to maximize consumer interest in your products and to display your merchandise in the most efficient manner and at the lowest cost to the retailer. DGS Retail sells an extensive line of wood gondola shelving. This is black gondola shelving that has wood back panels, wooden gondola accessories and wooden shelf details. All of the wood components are custom hand-stained with your choice of over 30 different premium wood stains that are specially blended for DGS Retail. The wood gondola is supplied in multiple sizes and with many available options. 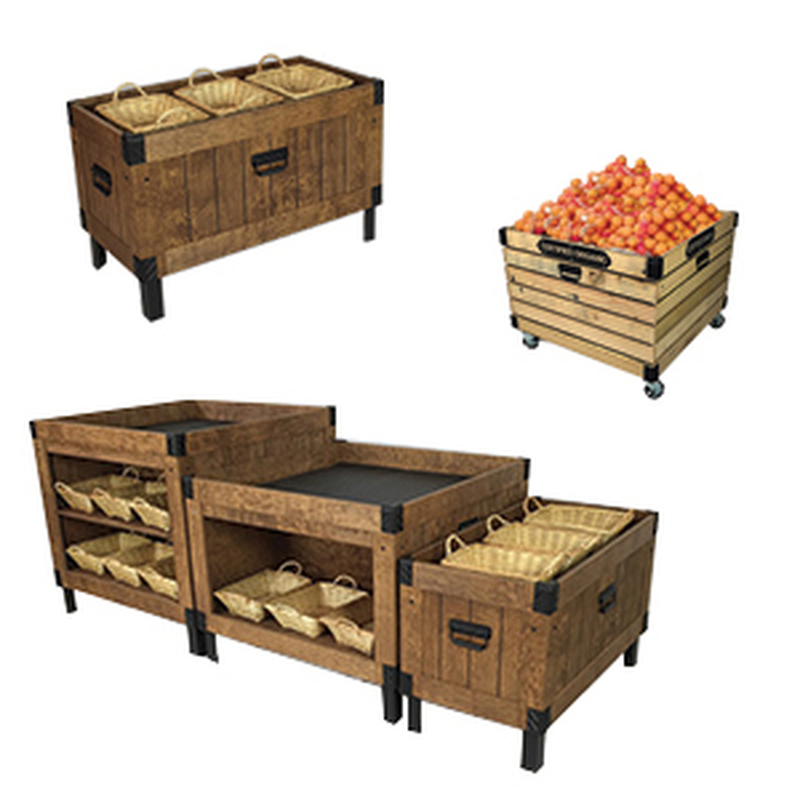 These include wooden retail dump bins, wood gondola shelves, wood gondola signage options and more. Wood slat shelves are available in different sizes and help to create a welcoming retail environment. Wooden retail endcaps and round gondola shelves made of wood are sold. 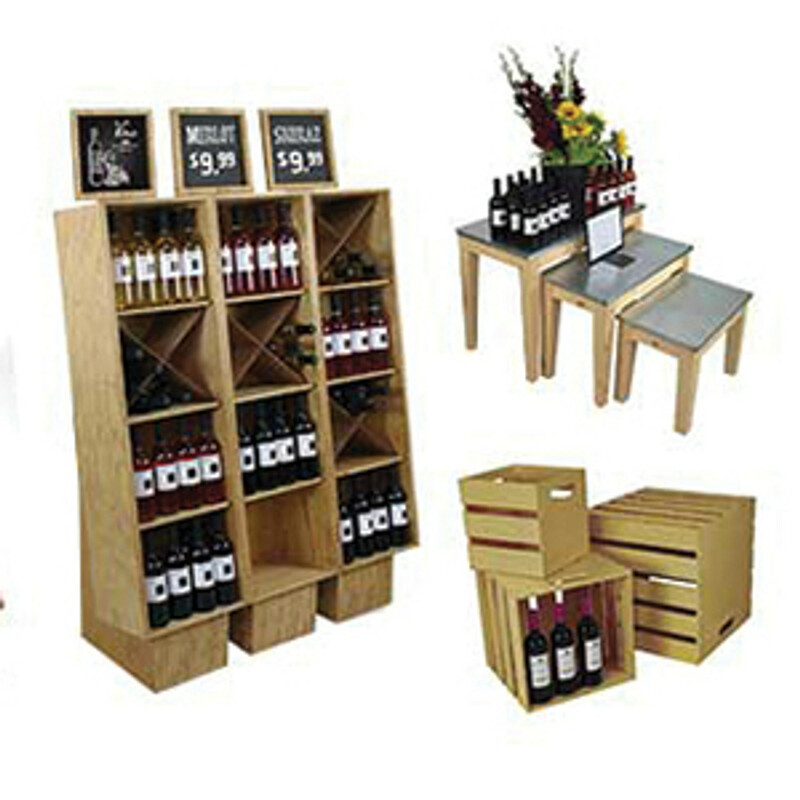 This type of shelving has been used at wine stores, bakeries, grocery stores, book stores and more. Metal gondola shelving is outfitted with wood slatwall panels for a refined wooden store fixture or modern retail shelving look. DGS Retail manufactures slatwall and sells at wholesale prices. We offer a wide selection of in stock slatwall colors. There is wooden slatwall available that’s finished with real birch veneer that can be custom hand stained from your choice of over 30 prime wood stain colors that are specially made to our specifications. Our color selection of slatwall displays is finished with long lasting laminates. There is also a metal finish selection. 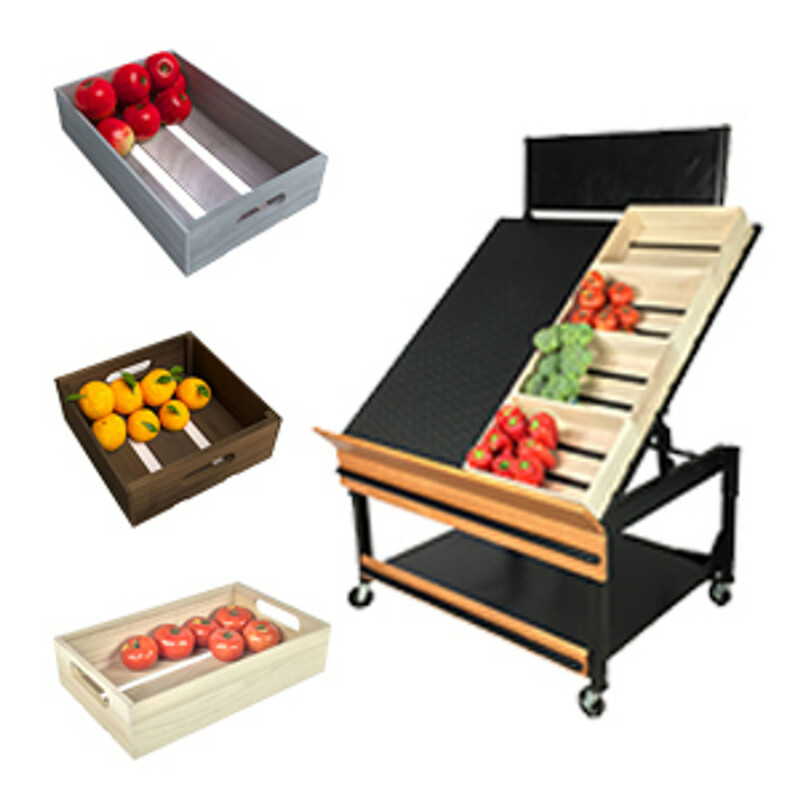 The slat wall system is engineered to fit into our metal gondola shelving. 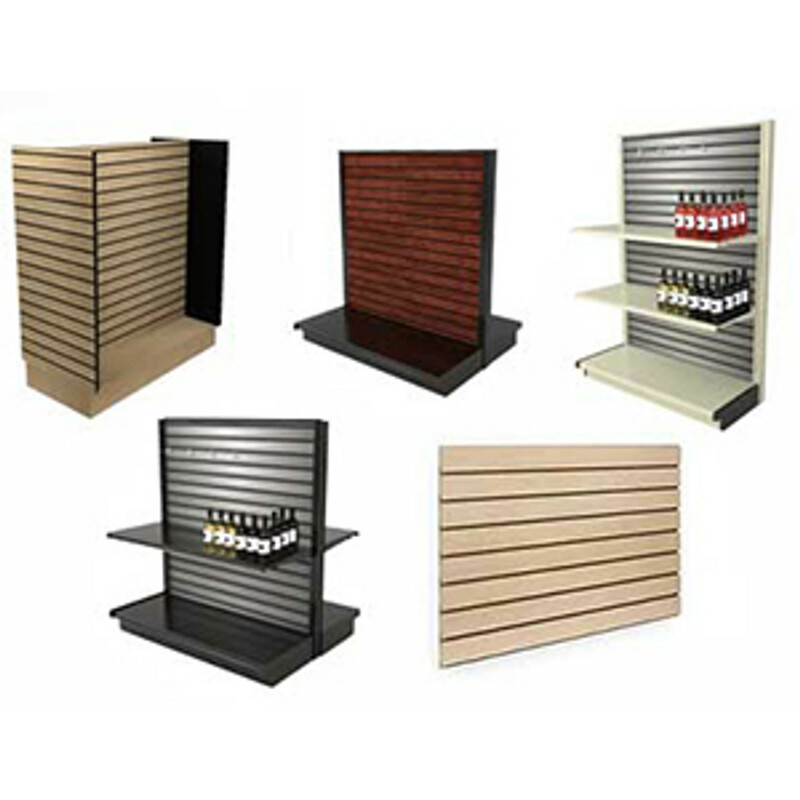 There are single sided slat wall displays that are designed to be used as retail wall displays. They are offered in 48” wide sections in many different heights. There are also double sided units or retail island displays. These have slatwall panels on both sides of the display. Rolling slatwall displays are great for store managers that want to be able to move their merchandise around the store selling floor. This is useful when there is a special promotion or maybe a seasonal display. 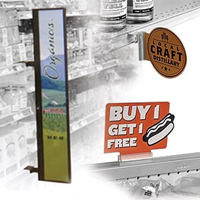 DGS Retail sells a selection of rolling displays and slatwall H gondola displays. H displays are called that because that’s the shape they make when looked at from above. They are essentially a double sided gondola unit with two retail end caps. Some H displays have casters and are movable. 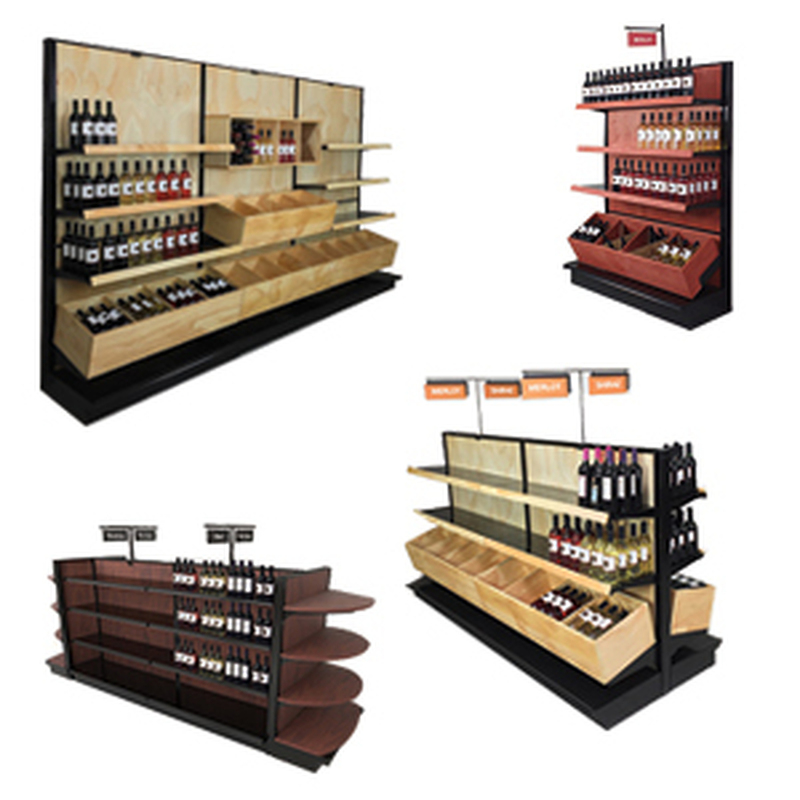 These displays come in all the same color and finish options as our standard slatwall panels. 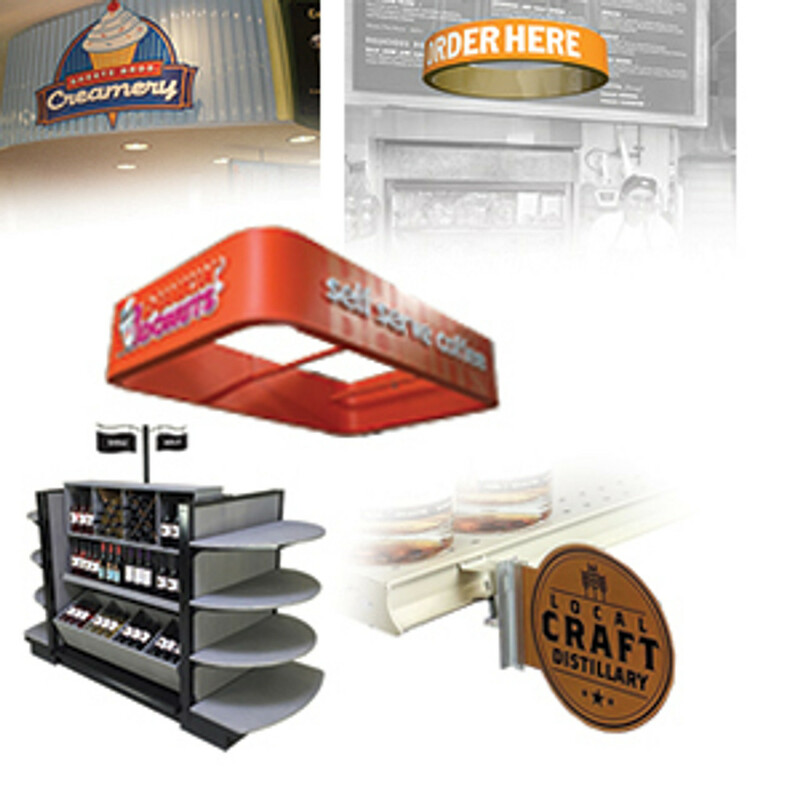 Want to Upgrade Your Existing Store Design? DGS Retail offers slatwall panel conversion kits. These are used to convert most current gondola shelving units to slatwall displays. The slatwall panels are specially engineered and supplied with all the required gondola parts to successfully swap out a pegboard panel and replace it with slatwall. These kits are offered in both 36”W and 48”W versions that are 54”H, 72”H or 84”H. 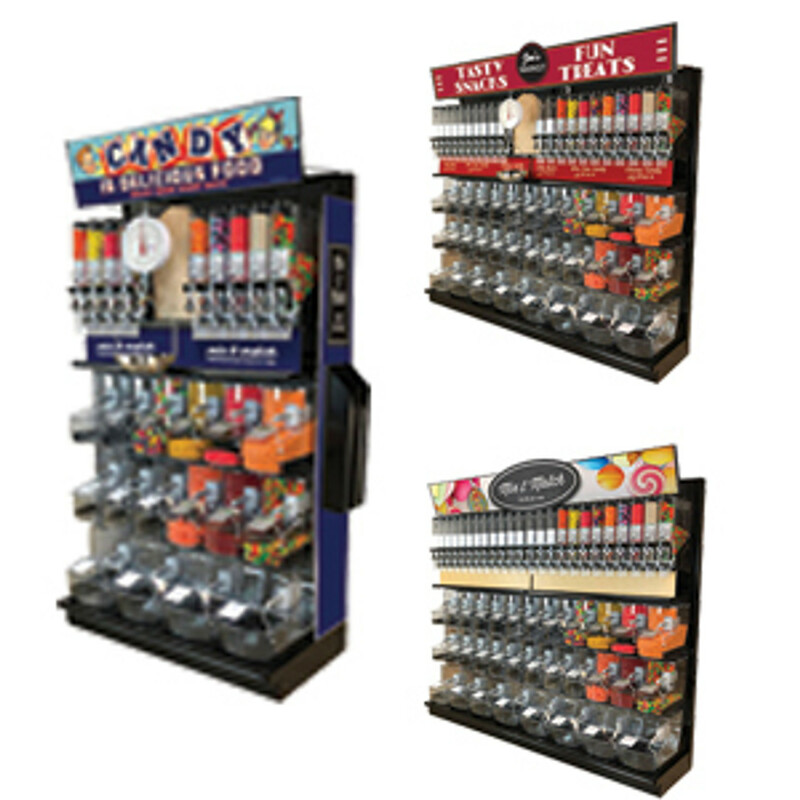 The conversion kits can be used on single or double sided gondola shelving and will upgrade any store’s appearance. 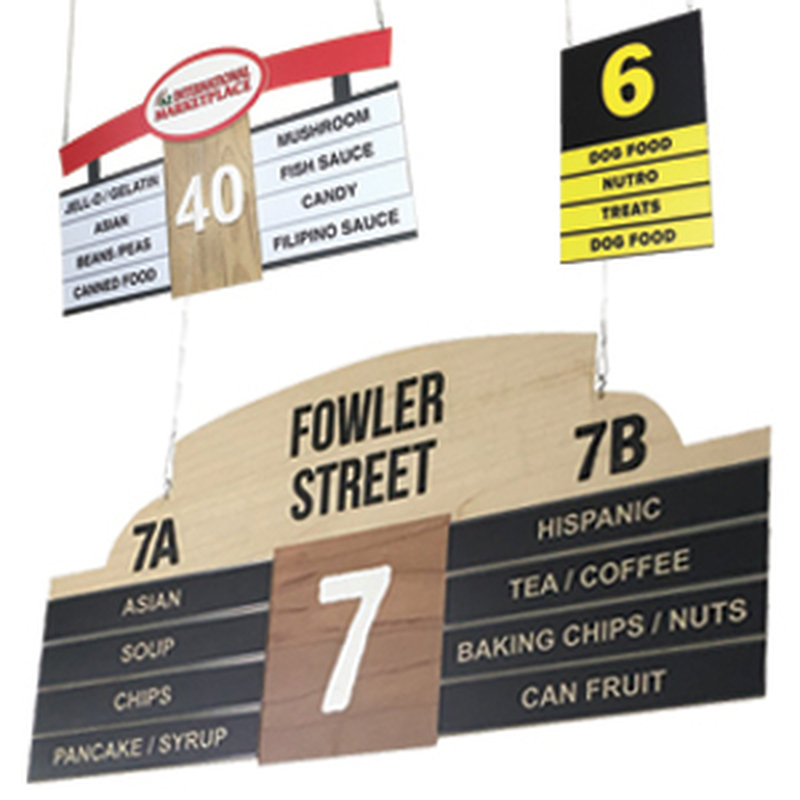 These can be used on most black gondola shelving, pegboard gondola displays or gridwall gondola displays. DGS Retail offers vertical slatwall panels that can be installed on most interior walls. Use them on drywall, sheetrock or concrete block walls and attach them with the appropriate fasteners for your application. 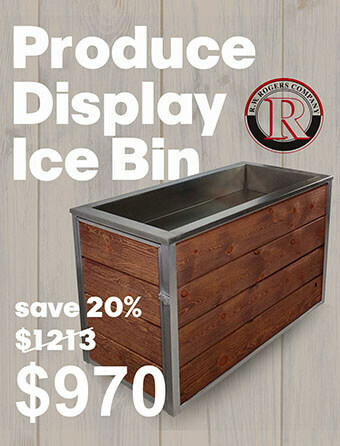 These are great display panels for retail stores or for home use. Slatwall groove insert options and accessories are sold. The slatwall panels are offered in over 40 different color options. For low cost retail display options check out our metal gondola shelving with standard pegboard back panels and inserts. These are offered in white, off-white and black colors. This display can be ordered in single and double sided units and in a variety of sizes. All gondola shelving assembly instructions and required parts are sent with each order. Pegboard is manufactured out of ¼” thick hardboard and has holes located every inch for maximum display options. The metal gondola has vertical slotted uprites or slotted standards that accept metal gondola shelves. Shelves are ordered in many sizes. 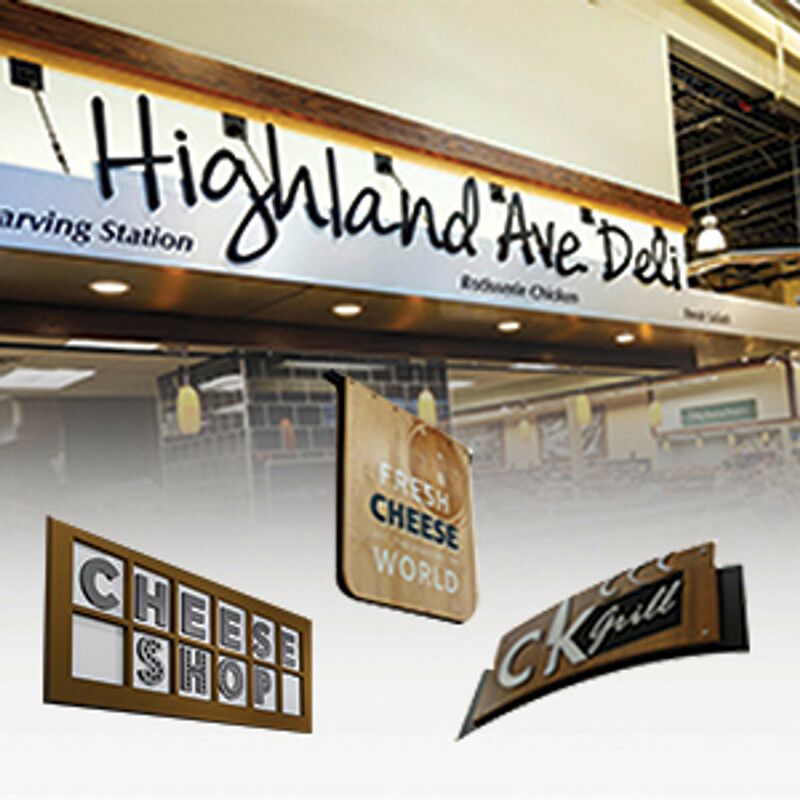 Use gridwall panels for stores that want to allow some light to go through their store fixtures. Gridwall is manufactured with thick wire in a cross square pattern. Metal gridwall stands or displays are great for H gondola displays and mobile displays. Gridwall display bases can be used with standard gondola shelving. This allows for maximum display-ability. 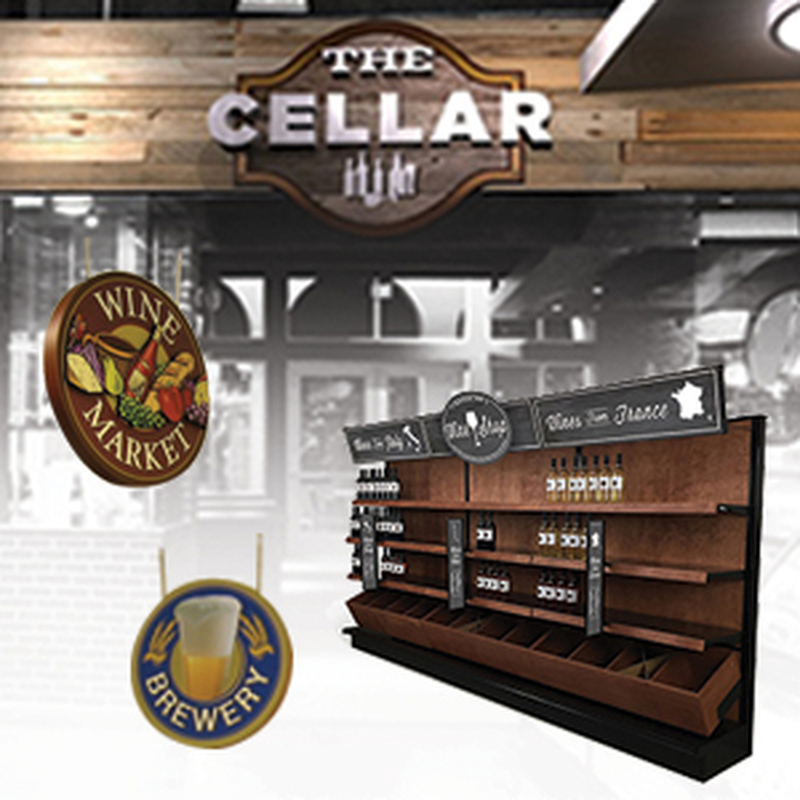 One of the many things that is unique to DGS Retail is the variety of retail signage display concepts that we offer for our gondola shelving. 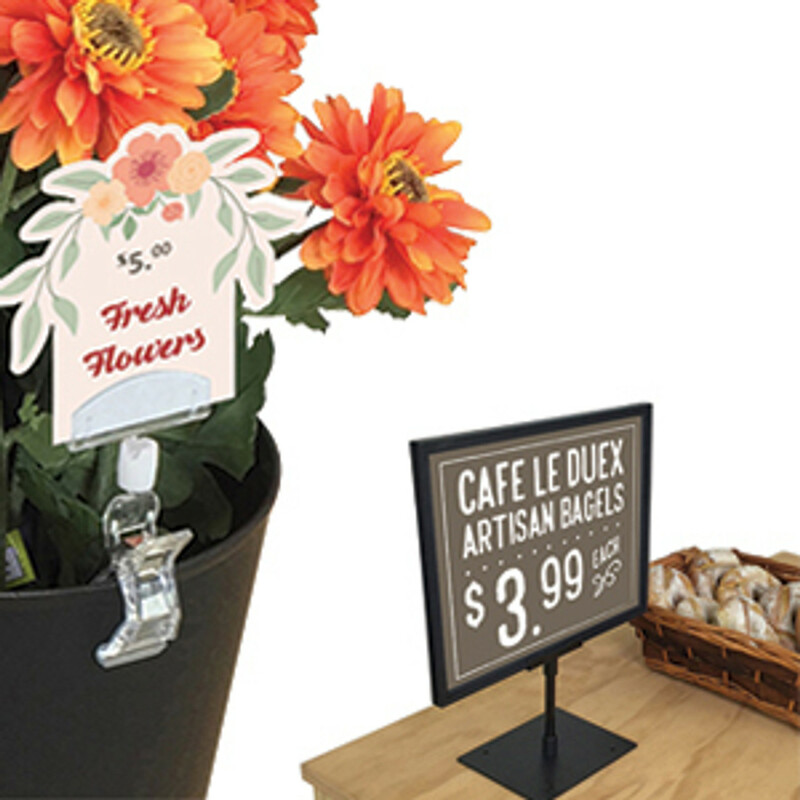 Create your perfect branded display or point of purchase display with the huge selection of retail sign holders, shelf edge signs, gondola toppers and other sign holders that we have for sale. 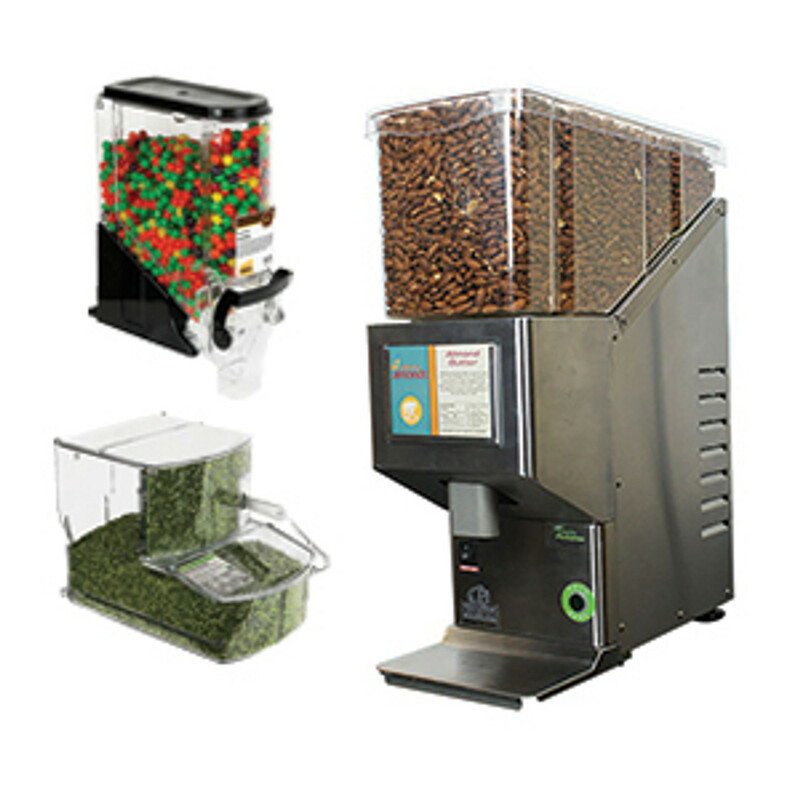 Many of them are specifically designed to work with our gondola systems and are sold at wholesale prices to retailers. Need help designing the perfect display? 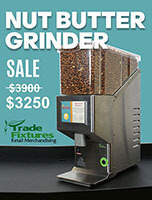 DGS Retail can assist with the graphic design and copy so that you get the perfect message for your customers. Need some help to visualize your perfect store? Try our free store design layout offer for help in creating the ideal store design. Sign up today!